With split sole function, SPIN can be worn indoors or out. You will not have to worry about the sole coming loose or getting wet feet on damp fields. Women’s sizes only. Medium width Only. 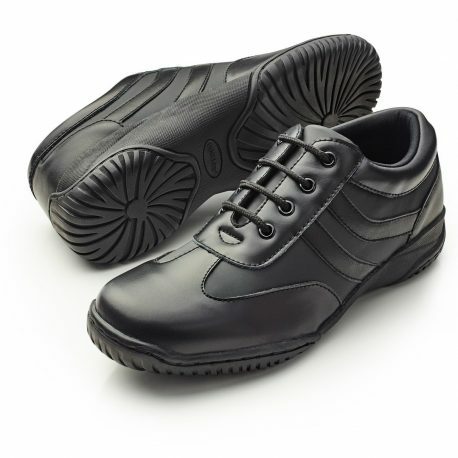 Upper is a combination of Leather and Polyurethane. This combination makes for great flexibility and wear. This material will not crack and is very easy to clean. 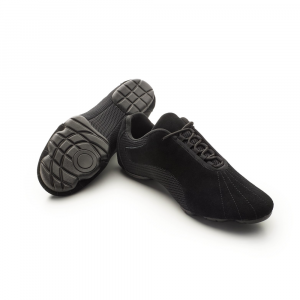 Sole is full rubber for traction, flexibility, and wear. The forepart and heel area are sewn on so the sole will never come off. Sewn independently, this allows increased flexibility in the shank area. The inside is fully tricot lined. It not only soft but is non-pilling and keeps feet dry. The insole is 3/8 inch thick soft EVA covered with Knitfit lining. 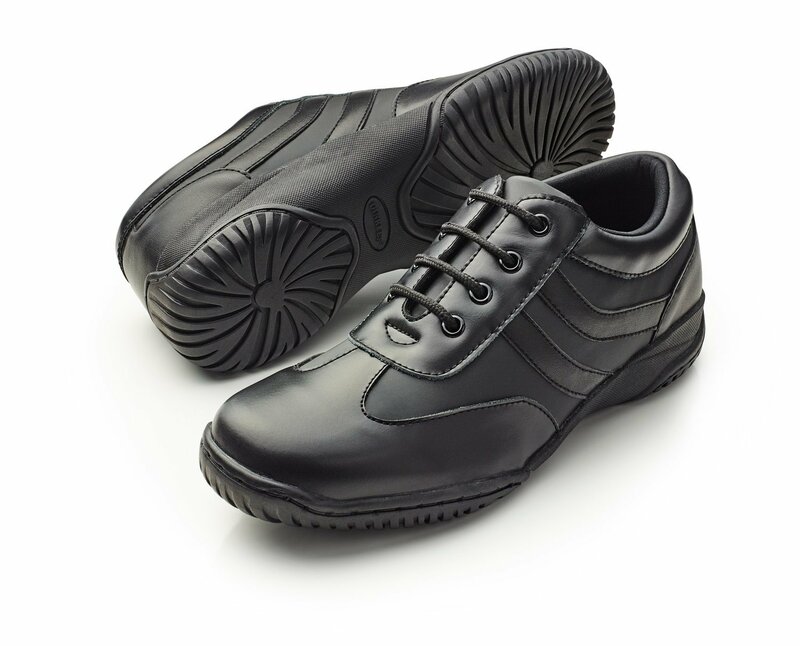 The upper and sole combination make SPIN water resistant so it can be used on damp surfaces and not have to worry about a soaking wet foot.